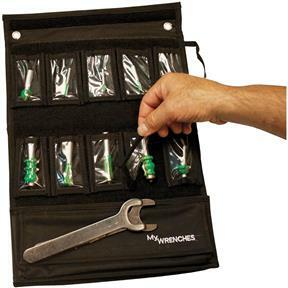 The FLEX Bit Bag keeps your router bits organized, sharp and chip free and keeps your router wrenches all in one place when you are on the jobsite or in the shop. 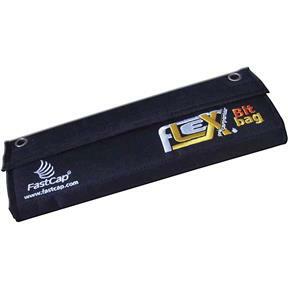 Made of heavy duty ballistic nylon and flexible hook & loop, your router bits can be arranged any way you want. Each router bit has a removable hook and loop pocket giving you the flexibility to organize it the way YOU want it! Hyper organized and super efficient! just grab and go. 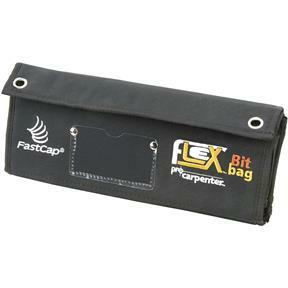 The FLEX Bit Bag, another great innovation by FastCap in the FLEX line of tool organization.